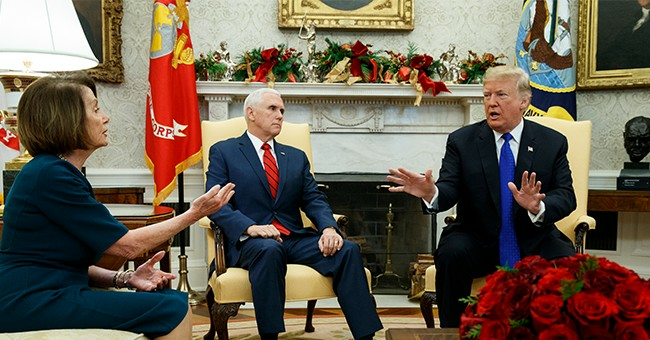 At the White House Wednesday afternoon, Trump berated Pelosi for the move, said there would be an alternative for the address and declared the Speaker "can't handle the truth" about the current state of affairs in the country. "The State of the Union speech has been canceled by Nancy Pelosi because she doesn't want to hear the truth. She doesn't want the American public to hear what's going on. And she's afraid of the truth. And the super-left Democrats, the radical Democrats, what's going on in that party is shocking. I know many people that were Democrats and they're switching over right now, they're switching over quickly. So I hope they know what they're doing for their party. So far they haven't," Trump said. "I will say that the American people want to hear the truth. They have to hear the. truth and the truth is all about - and said I think and I hope well - we were planning on doing a really very important speech in front of the House and the Senate and the Supreme Court and everybody else's that there. It's called the State of the Union, it's in the Constitution. We're supposed to be doing it and now Nancy Pelosi - or 'Nancy' as I call her - she doesn't want to hear the truth and she doesn't want, more importantly, the American people to hear the truth. So we just found out that she's canceled it and I think that's a great blotch on the incredible country that we all love. It's a great, great horrible mark." "It's a sad thing for our country. We'll do something in the alternative. I'll be talking to you about that at a later date," he continued.